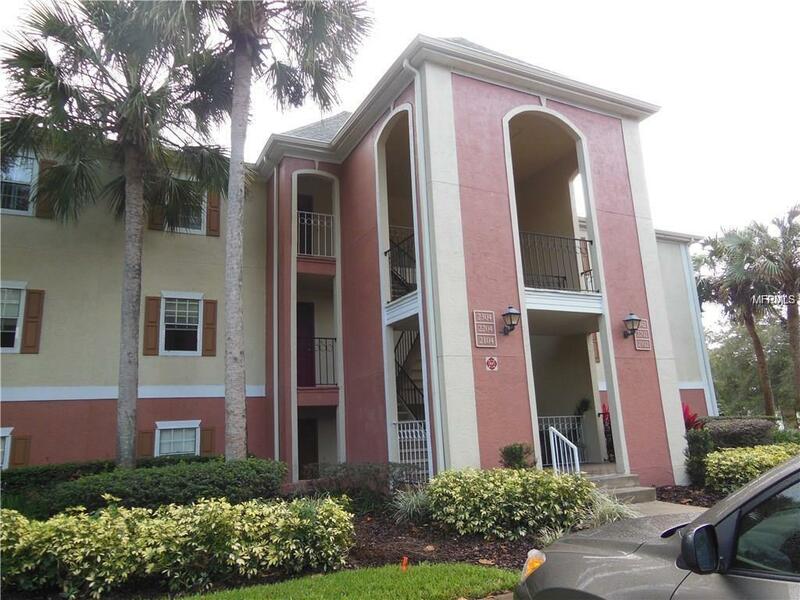 This 3rd floor condo is located in one of the fabulous Sabal Point communities. The unit features a split bedroom plan, each with its own en suite bathroom and walk in closet. There is a half bathroom next to the laundry room which is convenient for guests. The large kitchen has space for a breakfast table. The great room offers a bar space (no water connected) and through the sliding glass doors, a view of the pond and fountain. This community features a large pool, tennis courts, a clubhouse and a car wash area. Listing provided courtesy of Global Realty International.